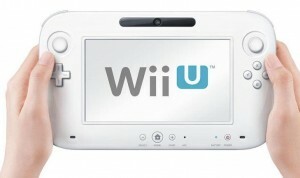 Gaming magazine, Famitsu have polled their readers on how they are feeling about the Wii U. The results from the Japanese public have not been overly positive but neither are they overly negative. The results showed that 38.3 percent of readers had a good impression of the Wii U after E3 whilst 33.7 percent did not have a good impression. The remaining 28 percent were currently undecided or just not interested in the console. This is not the first time the Wii U hasn’t done overly well in a poll. Gaming website T3 have also polled their readers asking them which console they wanted more, Xbox 720, PS4 or the Wii U with the Wii U getting just 9% of the vote. However, the validity of these polls are very much in question. Other people’s opinions could mean less to me……no offence to whoever voted in favor of the other consoles, but they will never appeal to me ever. Also, no matter what, Nintendo will always be the people who entered the gaming industry first and are the ones who have more or less been “helping” the other companies evolve their systems, with the whole Wii Remote-PlayStation Move mirroring and all the other stupidly similar knockoffs. All in all, I say “Meh!” to all the people against Nintendo and their extremely creative thinking. Validity is one thing but as a life long Nintendo fan starting with the NES I am not overly thrilled with Wii U…. I bought a PS3 two years ago. I will buy a Wii U but I am not gung-ho as I was with GameCube or the early love affair with Wii which died after 3 years. The fact that the new controller is a tablet and limited to one per console does not enthuse me. The fact that it uses four Wii remotes is only digging that hole deeper. I see the marketing aspect but…again, I purchased a PS3 and I am symbyotic with the Dualshock 3 Sixaxis. Nintendo has to make some serious changes after Wii U or they will go the way of Sega. Wii U is Wii 2.0 but also their first HD console, so its another experiment. Lets hope they learn much from Wii U for the next console. They didn’t say it would only be one per console forever. They said that at the moment, they’re only implementing one tablet for games, but the processing power is there to handle two or more tablets. I agree with pretty much everything else you said though.